Retail giant Sainsbury's is launching a new range of 'bleeding' vegan meat in 400 stores in a bid to appeal to omnivorous customers. Like the Beyond Burger in America, the new products will be sold alongside animal meat in the chiller, when it launches next month. The tactic has worked extremely well for Beyond Meat: CEO and Founder Ethan Brown told Plant Based News that the patty is outselling beef in some stores. Sainsbury's is hoping to 'capitalize not only on the burgeoning vegan market but also those, who enjoy meat but want to reduce their meat consumption', according to The Guardian - which exclusively broke the story. 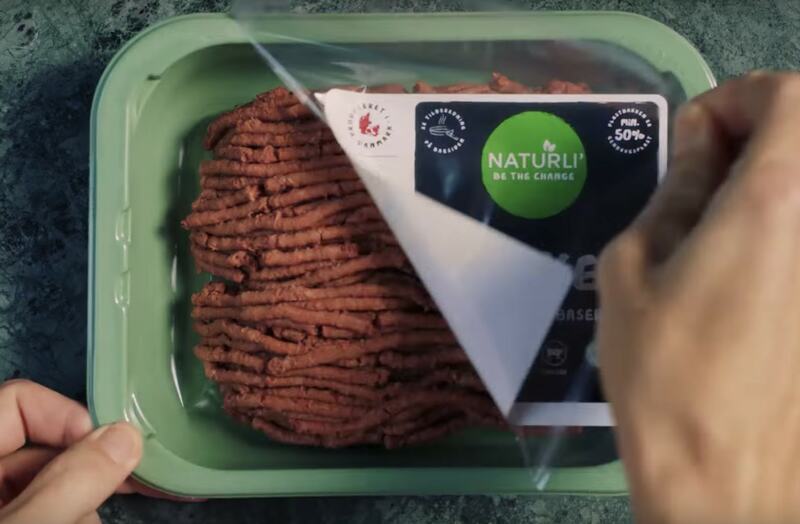 The products - burgers and mince - which will launch instore on June 27, are made by Danish brand Naturli' Foods. It uses porcini mushrooms, as well as almonds and tomatoes in its recipes, in order to create an umami flavor. Beetroot juice is used to replicate bloody juice. Henrik Lund, Chief Executive Officer of Naturli Foods, told The Guardian: "Our goal is to contribute to restore the balance between nature and man. We've developed this product assuming that many people want to eat plants instead of animals, but are afraid of compromising on flavour and maybe even missing out on their favourite dishes such as lasagne or burger patties." This new launch by Sainsbury's in the latest in a line of new product releases aimed at the vegan, vegetarian, and meat reducers market this year. In recent weeks, Waitrose became the first UK supermarket to have a dedicated vegan section, with the store's meat-free buyer Chloe Graves putting the launch down to growing customer appetite for these products. She said: "Our current selection of products has been selling really well week after week, with requests for more choice coming from our customers and partners, so we could clearly see there was an appetite to have more vegetarian and vegan options in our shops." Earlier this year, Sainsbury's itself created a line of what it called 'next generation' plant-based products, including a jackfruit dish. Georgina Lunn, Product Developer for Fresh Produce, said: "With over a quarter of meat-eating Brits actively reducing their meat consumption, there is a clear appetite for exciting and new ways to introduce more vegetables into our lives." Tesco - the UK's most popular supermarket - started selling a plant-based range in January. The Wicked Kitchen line, with around 20 products, was developed by vegan chefs Derek and Chad Sarno.